Less than a month after President Obama restored full diplomatic relations with Cuba, his administration announced Thursday that they'll ease travel restrictions to the country for U.S. citizens. That means you'll no longer have to pretend you're going as part of a church group or for "professional research." The Obama administration announced that starting on Friday, it'll be possible to travel to Cuba without having to obtain a special government license to do so. 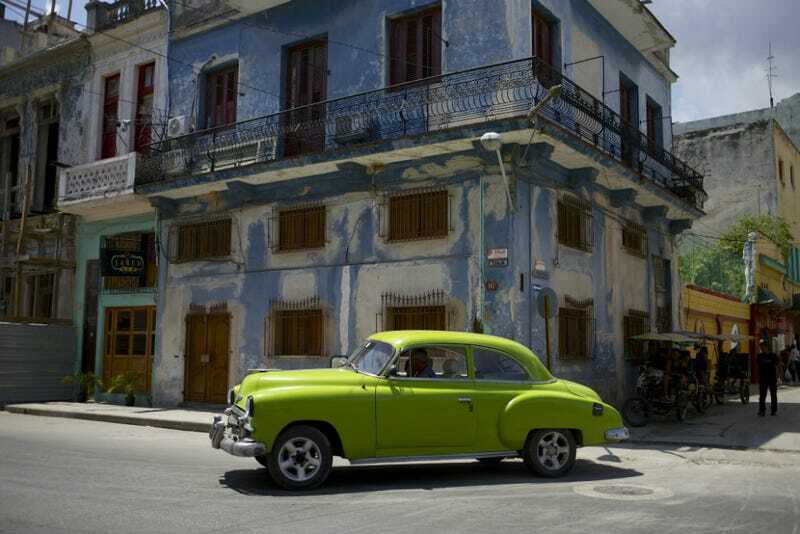 Previously, you had to submit an application for a license to the Office of Foreign Assets Control, certifying that you were going to Cuba for one of a dozen or so reasons—you can still see that application here. Obama hasn't actually lifted all restrictions on travel to Cuba, which would require a vote by Congress. But the new rules also say that for the first time, you're legally allowed to spend money and use credit cards in Cuba, and even bring back up to $400 in souvenirs, including $100 in "alcohol or tobacco." That keening sound you hear is thousands of American dudes holding a forlorn, empty Cuban cigar box to their collective chests and weeping with joy.